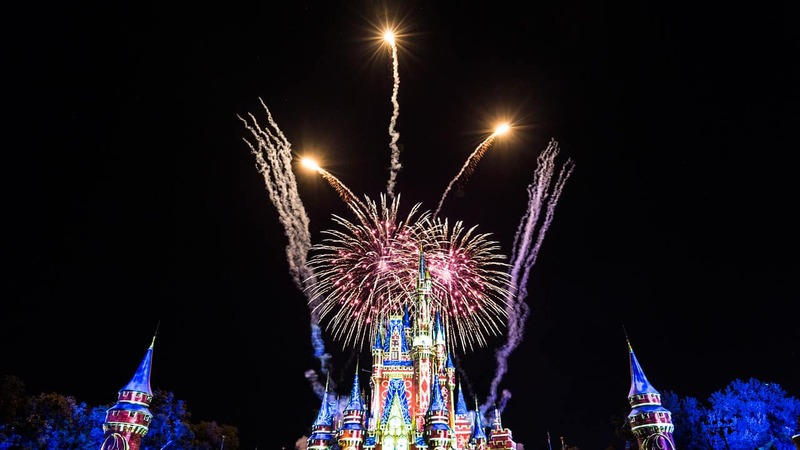 In just a few minutes, “Happily Ever After” presented by Pandora Jewelry will officially become the third nighttime fireworks spectacular to ever blast off at Magic Kingdom Park. Our #DisneyParksLIVE stream of the show’s debut will begin at 8:55 p.m. ET. Be sure to join a few minutes early, as we’re kicking off the broadcast with a behind-the-scenes look at the creation of this amazing spectacular. Tell us in the “Comments” section below where you’re watching from, who you’re watching with – and what you think of the new nighttime spectacular! You just may get a shout out during the broadcast. Watched it live from the park, right next to live feed camera. Sooo awesome. Wish I could have gotten one if the posters that was being given away. I can’t wait to see it again…and again…and again! WOW – just WOW!!! The Disney Blog really learned from their mistakes last time, and did this one just about perfectly. They had great camera angles with terrific direction – rarely did I get cranky cuz the cameras weren’t showing me what I wanted to see. And it was tough, as there was great stuff up close in the projections and great fireworks going off at the same time. Very well done, production crew. I just can’t wait to see this amazing show for myself in a few months! I’m happy you liked it – have a wonderful wedding! Watched with my son from Columbus, GA. We will miss Wishes because so many memories were made during it’s time but we are looking forward to seeing the new show live and making more Disney memories! It was amazing to see!! Thanks for making my Mother’s Day! I hope you enjoy it on your next trip! Watched from Main Street, U.S.A. at the base of the train station. (It was nice to get to meet blog author Shawn). Mark Daniel called the music “an emotional arrow to our hearts.” Even watching the short clip played before the show started, tears formed. Mark was definitely not wrong. I mean, I had tears in my eyes before “Out There” from Hunchback of Notre Dame (one of my favorite Disney songs ever, right up there with “When You Wish Upon a Star,” started playing. When the show got to “You’ll Be In My Heart,” I started sobbing happy tears. And, to be fair, I totally understand the disappointment of people sad to see Wishes leave. But I worked at Disneyland when Fantasy in the Sky originally left and was replaced with Believe…There’s Magic In the Stars (just as, when I was a kid, I was sad to see Adventures Thru Inner Space — an attraction I will ALWAYS miss — replaced with Star Tours…until I rode Star Tours, and then I was okay with things). I was really sad to see the old show leave, but then I saw the NEW show and was blown away. And while I will always be a fan of Wishes, this is a worthy replacement. This isn’t the long-loved PeopleMover being replaced with the short-lived Rocket Rods. Also, kudos to the production team and on-air personalities for getting their cues right. I’ve seen other Disney live streams with a lot of down time between the introduction and the show, but literally two seconds after Mark introduces the show’s start, it begins. Enough of a pause to give us a chance to catch out breath, but not an awkward pause by any definition. One last note — it appeared as if one of the cameras was on a drone. Nice touch. If I were to voice one complaint, it would be that for those of us who don’t get to Walt Disney World as often as we would like, there’s no possible way to see every aspect of this show in one or even two sittings, between the fireworks and the projections (I’m not a fan of the move to so many projection effects, but it makes sense in this show). But for people who are there often, that’s not a bad thing. And seriously — even someone who only has limited time for a single visit in their lifetime, they’re just going to remember how spectacular it was. And PLEASE tell me that was still Robin Williams’ voice in “Never Had a Friend Like Me.” I loved Robin Williams, loved his show about animation with Walter Kronkite, and would love to know that he’s still a part of the show after his unfortunate passing. Well played on this one, everyone involved in developing the show, as well as to the Disney Parks Blog team for presenting it so well, instead of with a single-camera view! I will agree with those who say “it’s no Wishes,” but I will disagree with anyone who calls this a downgrade. It’s truly a fantastic show, and I hope it lasts for many years to come…or at least until you Imagineer something even better. The music is DEFINITELY heart-string pulling, the visuals are better than before, and…well, you just can’t go wrong with Disney pyrotechnics. You’ve been doing that right (and even improving upon “right” for 59 years, since Fantasy in the Sky debuted at Disneyland in 1958). I’ve been watching them since maybe two years after my birth (which was in 1974), and you’ve never failed to blow me away with fireworks shows. Thanks again, Disney, for doing something very right. She’s one of my favorite parts! I wanted to cry. I expected to cry. I planned to cry. The tissues were ready. But I didn’t cry. Happily Ever After didn’t touch my heart the way Wishes always did. I’m not saying it isn’t a good show, because it is a very good show. But that’s really all it is for me, a show. I’m amazed at the talent it took to put this together. But it felt like too much crammed into too short a time. Maybe a good way to put it was that it was too intense. So, for me it was a show that didn’t trigger an emotional connection for me. It didn’t have the touch of Disney “magic” that I’ve come to expect. This is such an amazing show. Absolutely mind blowing, from the song, to the aw inspiring projections! GREAT JOB ONCE AGAIN DISNEY, YOU’VE TOUCHED ALL OF OUR HEARTS ONCE AGAIN! WOW ! Can’t wait to be there come September. Always amazed at what they do and that at every visit we make there is ALWAYS something new to see. We are so excited still, at age 65. This will be so awesome live. We were just there Apr 26-May 1 and got to see Wishes before it came to an end. I watched but I will leave this a secret for my wife and daughter so they can see Tink fly at the end without knowing she will be in it. LOVED IT!!!! Cried at the end!! !Can’t wait to see it in person!!!!! Absolutely loved it…can’t wait for our next family trip. 🙂 Thanks! OmG!! HappilyEverAfter was spectacular and super amazing. Definitely Disney takes something good and they make it better. Awesome job. Love it, love it. And Tinker Bell was part of it, so happy for that. Wish I could’ve been there to experience the chills. Great performance by the symphony and singers Fisher & Keilhauer. Amazing! Thank you from DFW Texas. We hope you can come experience it in person soon, Sigfredo! Thanks for tuning in! We hope you can visit soon. Just doesn’t pull on the heartstrings quite like Wishes…Projections were amazing but music sadly doesn’t do it for me. Amazing. You think that nothing will ever top Wishes and then of course Disney does. What a great combination of projection technology and fireworks. Can’t wait to be right in front of the Castle in the fall. It was so wonderful to be able to see this from my home in the Northeast. It is an awesome show. I do miss the classic disney and instrumental music like Wishes. I can’t wait to see it live in person. A lot of effort and work and creativity was put into this new show. The fireworks look outstanding. I watched in from Michigan, and absolutely loved it! Who was the narrator? Camden, N.J. My daughter and I loved it. We wish we could’ve been there in person. It was beautiful. Omg amazing. We really loved it here in P.A Thank you for broadcasting it live! being a tried and true Walt fan … I missed him in this. Adding just a bit more of the classic Walt Disney…would have made this perfection for me. Absolutely AMAZING!! ❤️? My husband and I, have chased our dream of moving to the Orlando, FL area for three years and in just TWO WEEKS we will be moving from Ohio to Florida!! I cried happy tears through this entire show, it’s like it was speaking to us about following your dreams and finding our ‘Happly Ever After’!! Thank you so much Disney!! Watching from Lexington, SC. Awesome show as always. Until we see it live!!! I hope you love it, Mark. Didn’t think it would make me emotional, particularly watching it streaming, but…I was wrong. I live in Utah and only get down every other year, so Wishes is a very special show to me, but man alive… what an appropriate and thoughtful replacement. THANK YOU! I can’t wait to come down and see it live in 2018. Mad respect to the the artists that made this show happen. So full of heart and such a great message for such a confusing world. Amazing show, a very magical special experience. WE LOVE WDW!!! Wishes earned a very special place in my family’s heart. I first brought my kids to the Magic Kingdom the year it debuted, and returned recently with them as adults to bid it a tearful goodbye (with a great many trips in between). It’s hard to rival the nostalgia and sentiment of memory, and while nothing will replace Wishes for us, this show will be a welcome way to close out our future days at the Kingdom. My hat’s off to the team that brought us Happily Ever After. You nailed it! We watched this with tears of joy, what a great balance you’ve struck between classic and new. Can’t wait to see it in person in just a few days! Well, I must be in the minority. Not a fan of this show. It may be better in person but there is something and someone missing from this show. Walt and Mickey. Every time I watch Wishes I cry. No matter if in person or on YouTube. There is just no emotional connection for me. Thank you for the live broadcast. I will see it next year at WDW, I hope I like it better in person. “Happily Ever After” is amazing! It gave me goosebumps! 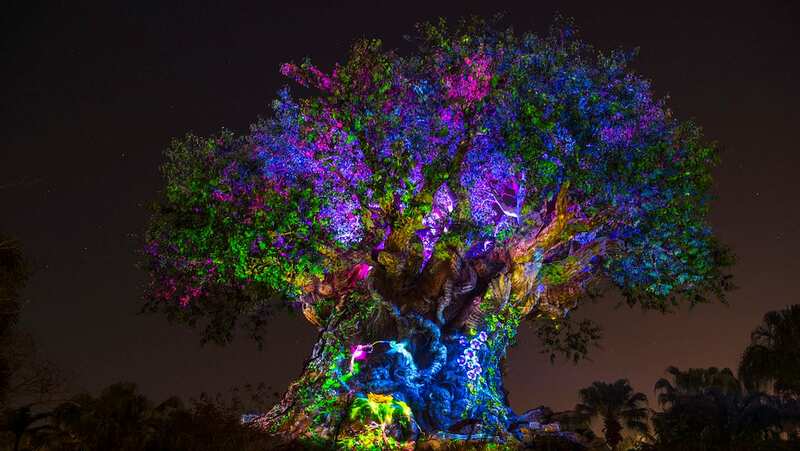 Thank you, Disney Parks Blog, for sharing this new nightime spectacular with us on opening night. You are the best! We’re thrilled we could share it. I just finished watching the live stream of the new show Happily Ever After. My initial thoughts? Its a technological masterpiece. The visual projections are stunning, the fireworks are beautiful, and the addition of the laser ans light certainly add to the show. However its a show that to me doesn’t have heart. The disjointed jumping from one soundtrack to another and cramming in as many projections of characters and scenes is distracting from the message I do think it was trying to send. I could and still will listen to the soundtrack to Wishes over and over again. This has one song. Happily Ever After. And the version released is rock version stripped of all the wonderful orchestrations that gave the one used in the shows a depth this studio version will never have. I know I will watch it at least once in person to get the whole experience but as of now its just a bunch of explosions. Fabulous fireworks but it didn’t touch me. I wasn’t moved. Watching frkkm Kissimmee, Fla. With my husband. Disney you’ve out done yourself. Best fireworks ever!!???? Thanks for the rave review, Carolyn! Doesn’t touch my heart like Wishes. Wishes I had to watch every night of each trip except one night for Fantasmic. This show I will be happy seeing once during each visit. The only thing that I liked was “Go the Distance until other voices began singing the song. It was pretty but not as good as Wishes. Beautiful !!! My daughter and I think it was awsome!! We loved it!! We’re happy we could add to the magic of your Mother’s Day weekend! Seventeen family members! That’s a lot of fun to be had and memories to be made! We hope you enjoy the show. That just made me want to leave for Disney World NOW. Wishes was great, but this was a completely worthy successor! Well done Disney! !